DETROIT – Cadillac is collaborating with Saks Fifth Avenue this holiday season to create a unique window display featuring the all-new 2015 Escalade luxury SUV, and to offer an exclusive special-edition 2014 Saks Fifth Avenue ELR electrified luxury coupe through the 2013 Saks Holiday Catalog. Cadillac was also the official vehicle of Saks' fall First LOOK Campaign. Cadillac and Saks Fifth Avenue are rolling out their holiday festivities, hosting events at Saks retail stores in key markets with more events to follow throughout the fall and early winter. On November 25, Cadillac and Saks Fifth Avenue will reveal a specially designed "Frozen Escalade" window display at the Saks flagship store near Rockefeller Center on Fifth Avenue in New York City. The display will feature a White Diamond 2015 Escalade with functioning light-emitting diode, or LED, running lamps, which appear embedded and breaking through a wall of ice. This year's Saks Fifth Avenue Holiday Catalog features the 2014 Saks Fifth Avenue Special Edition Cadillac ELR. This package, limited to 100 units, will include a 2014 Cadillac ELR with a White Diamond exterior paint color only available through this package. Buyers will be able to choose between a Jet Black or Light Cashmere interior. Also included is an upgraded 240-volt charging station with professional installation and applicable permits, valued at up to $3,000. To order, customers can call 1-855-SAKS-CAD (1-855-725-7223). Owners of this 2014 Saks Fifth Avenue Special Edition ELR will also have their own ELR Concierge Representatives. Trained in white-glove customer care, the Concierge Representative is an additional point of contact beyond the customer's Cadillac dealer for information on battery care, home charging, service scheduling, and news and updates by calling 1-855-INFO-ELR (1-855-463-6357). 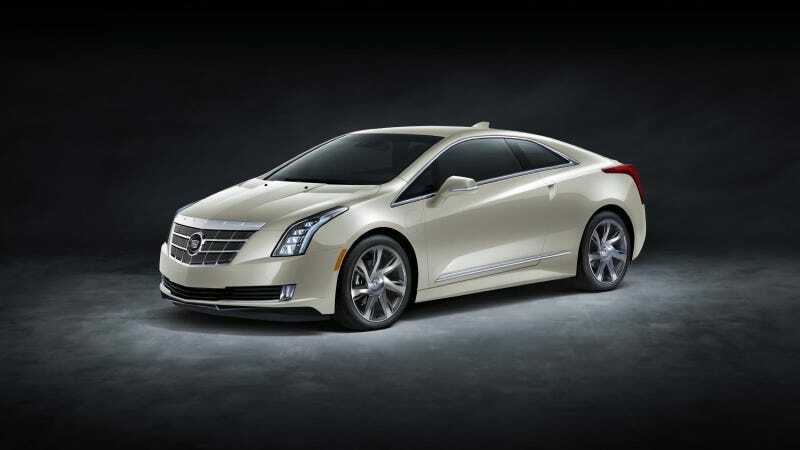 The 2014 Saks Fifth Avenue Special Edition ELR package is priced at $89,500, which includes a $995 destination charge. Customers can order their vehicles now with delivery expected in March 2014. "Our partnership with Saks Fifth Avenue embraces the brand's sharp eyes for aesthetics, and puts the all-new 2014 ELR and the Cadillac brand front and center with buyers this holiday season," said Melody Lee, Cadillac director of brand reputation strategy. "We are excited to be part of the Saks Holiday Catalogue and offer the limited-edition ELR exclusively to Saks customers."